“Scrappy is being the first Marketing role in an organization, at your first job: I am the Marketing Coordinator at Work Effects, a business consulting company located in Downtown Minneapolis. I am focused on public relations, creating marketing materials, and running our website. Trial and error is basically built into my job description, and that’s what I love about it.” This was the first bullet point of my About page. Until about 5 minutes ago. When life is moving so fast, the hardest thing to do can be slowing down. Let alone slow down long enough to write, and that’s why we’re all here for a 3 month delayed update. Luckily, I did take many conscious moments to process this transition, and stay present as I watched all that was familiar be put into a jar and given a good shake. With this shake up came the release of some pieces of my identity, as I tried on a new look for size. Deleting the paragraph above made me pause. Removing myself from the Work Effects website- a site I had designed, wrote, and maintained- made me pause. Pressing send on my first mortgage payment made me pause. And I’m so glad it did. When I redesigned my blog to be S is for Scrappy, it was inspired by a thought to reclaim my confidence in myself at my making-it-up-as-I-go-along job. Scrappy is not having all the answers but charging ahead anyway, it’s playing 6 different roles within one day, it’s about making confidence contagious. Just over 90 days ago, I left my 11-person company for the very similar Fortune 50 Comcast NBCUniversal and gained 159,000 coworkers. Those 90 days have been pretty scrappy. I didn’t question whether to take part in the labor day potluck/cooking competition, and promoted my Panzanella salad to anyone who would listen, including the VP of Sales and Marketing. The appetizer gold trophy went to “the newest Comcaster,” and will forever stand out in my mind as a moment where I remember thinking, I feel at home. Scrappy is adopting a mantra of “what if we made it fun?” the first time in a corporate setting. Good news- that mindset is contagious, and effective. Recently, I’ve been in a few conversations of friends who feel stuck in their jobs, and it’s made my recognize how truly significant this journey has been. I could have never guessed that my path had this in store. I would have never imagined I was exactly where I needed to be; gaining the experience I’d be able to speak to during a phone interview with a recruiter in Denver. That something about my scrappy mix of specialities would be the perfect fit for a thriving sales and marketing team at Comcast’s Twin Cities Region office. You are exactly where you need to be. Something I don’t get to speak to as often is how the Om tattoo on my back captures that sentiment. “Om” has three syllables, and it represents the three stages of any experience, situation, and life- beginning, middle, and end. When you are in the middle of anything- good or bad- it’s difficult to picture that ceasing to exist. This is why the bad times in our life stick out so distinctly, the seconds crawl by with no end in sight. But everything is temporary. As I enjoy beginning this new stage, I must recognize that it will shift, grow, and change. Rather than half-heartedly enjoying this moment with the caveat of “but nothing stays perfect,” I am diving in with a present mind and full heart to allow this stage to be as glorious as it wants to be. So that the joy, beauty, and discoveries of this stage do not go unrecognized. So that I pause. This seemingly ordinary weekend was filled with all of my favorite things- yoga, time outside with Maya and Brandon, teaching, hosting friends and family, Alpha Gam- and it made me realize how extraordinary this life I created is. If there’s one thing all my friends can agree on, it’s that my coordination on the yoga mat does not translate to the dancefloor. Regardless, I’m glued to any and all wedding dance floors, and have yet to see a shimmy that can rival my own. So it was somewhat out of character when in Zimbabwe this January, I passed up the opportunity to join in on a large dance circle at our Boma, a traditional african dinner. It was a large circle that would alternate bringing one person into the middle, and some of these people were just amazing dancers. I worried about getting pulled to the middle and not knowing what to do, so I found a place to perch and watch with my sister. The words stung a bit, and stuck with me to become my one regret of my trip. We could credit this to my rampant FOMO, or any cliche “I Hope You Dance” lyric, but it was something more. It was a clear moment where fear stopped me from having an experience I’ll rarely get again. Where I worried more about what strangers from the other side of the world would think more than my own desires. I hadn’t thought about this in a while, but was reminded over the weekend while attending the Twin Cities Wanderlust event, the world’s only mindful triathlon. After completing a 5k (part 1) on a scenic St. Paul trail, our 90 minute yoga class (part 2) was to start soon, followed by a guided meditation (part 3). Rather than starting the class right away, the lively emcee cued the DJ to play some party music and she was getting the crowd revved up on stage. With everyone on their mats, she was inviting everyone to start dancing- which is not something people are used to starting a yoga class with. I was bouncing around (another one of my signature moves) on my mat, when I noticed someone was invited on stage. I mentioned to my coworker, Belinda, how fun it would be to go on stage. She encouraged me to go to the front so that if they called anyone else on, I would get to go. I think she suggested this partially to get me to dance somewhere else, but also because she likes to bring out a more carefree and bold side of others. Thinking of the Boma, I ran to the front stage. The emcee asked who wanted to go on stage, and I fan girled hard. I was disappointed when she picked a group of three friends to come up, but I knew me and my bad dance moves could break her down with persistence. Once another pair was called up, I decided there was no reason I needed to wait for an invitation. If I wanted to dance on stage in front of thousands of people like a crazy person, it would be pretty pathetic to miss out just because I wasn’t called on. So I ran up with them like we’d know each other for years. It was unbelievable. I knew there was no space for overthinking like I did in Africa, or half-assed bopping like I did on my mat. So I just danced however I wanted. I was completely in my own element with thousands of faceless yogis cheering me on. Until I recognized two of the faces, my best friends Alyx and Megan, who I also had come with moved to the front of the stage. A year ago, I was working up the courage to practice yoga in my sports bra. Truly. 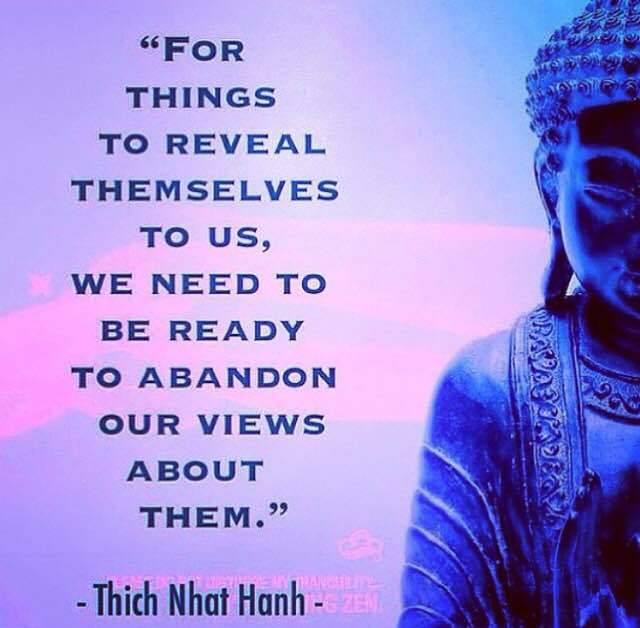 As an active meditation, I would wear a sports bra (instead of a tank top) to class and challenge myself to maintain positive self talk regardless of what was reflected in the mirrors. Dancing on stage, in that same feared get up, in front of thousands, and being filled with the utmost joy and energy, that to me is the epitome of freedom. Wanderlust allowed me to see whether it’s a scenic 5k, a once in a lifetime dance party, a 90 minute flow with a live DJ, or an outdoor meditation, it’s all yoga. It’s a mindset. It’s saying yes, and allowing yourself to experience things as fully as you can. Yoga is an opportunity to celebrate being alive, and express gratitude for every part of your being. We focus so much on being smaller, fitting a certain mold, and refining the edges that aren’t perfect. There’s no need to ask permission, show up exactly as you’re meant to today- whether that’s dancing your hardest, laughing (in my case, cackling) your loudest, and daring greatly in every way. Give yourself permission to take up space, to be seen. I promise you, there’s nothing better. I never understood doing a cleanse. I tried various juice cleanses—usually a loose interpretation of a recipe combined with what I had immediate access to—always with the subconscious knowledge that it would last less than 24 hours. So a few months ago, right at the end of the semester, when I was faced with the opportunity to do a juice cleanse, I was surprised to hear myself say yes. The difference, however, from the previous attempts and my 3-day Juice So Good cleanse was the intention. I had just completed the most difficult semester of my college career, and only had finals between me and graduation. I was seeing the light at the end of the tunnel, and more than anything, wanted to leave that emotionally and mentally draining tunnel behind me in my path. Previously, everything about a cleanse sounded miserable; but suddenly, everything about it made sense. I headed over to the Apple Valley CorePower studio, where the cleanse was kicking off with a detoxifying C2 vinyasa class. We started the practice by writing on a post-it the reverse of the negative track that plays in your head. If you’re one to think I’m not enough, a mantra could instead be I am loved. We then slid the post-its under our mats and let that mantra guide our practice and set the tone for our cleanse. The next three days and eighteen juices still stand out in my mind. I found cleansing isn’t about deprivation. It’s the conscious process of giving yourself exactly what you need without the sugars, vices, additives, stress, people, thoughts, and stories that are no longer serving you. It’s taking the power away from every external factor and bringing it back to yourself. It’s diminishing those tracks that inspired the mantras on our post-its, and recognizing that negative thoughts only exist because we allow them to. Sure, it’s only juice—mind you, a main ingredient is love—and it’s only three days of our luckily long lives. But the intention behind this process made it memorable and impactful enough to still inspire a blog post three months later. Speaking as someone who rarely does this, it’s usually the experiences where we actively put ourselves first that stay with us the longest. I am fascinated by the way our bodies and minds communicate; how reaching new intensity or mindfulness in a workout can lead to similar breakthroughs the next day at work. How going on regular walks can help calm our thoughts when we’re stuck in traffic. And as a result of this cleanse, how bringing only good into our bodies can inspire, motivate, and strengthen us to oust the bad from our daily lives. So what’s your story? The track that plays over and over that only positivity and self-love is strong enough to silence? What is your vice? What is no longer serving you? And most importantly, what is the reverse? What do you wish you could remind yourself of on a regular basis? What would you infiltrate your body and mind with if given the chance? Do it today. p.s. the post-it that reads “you deserve life-giving love and support” stills sits on my dashboard.